Investing for retirement is more complicated than opening an IRA or maxing out your 401(k). In fact, according to a 2010 survey by Charles Schwab of people 50 and older, nearly one in three say they find investing for retirement a bigger challenge than dealing with expenses or saving money. And no wonder: Pensions have mostly given way to so-called defined contribution plans — think 401(k), 403 (b) and 457 plan — which have placed the burden of investing to provide for a steady income on your shoulders. Park your money in the right accounts. The U.S. tax code offers several advantages for retirement investors. Many Investment companies offer free booklets on diversifying your retirement portfolio and making the right decision. Go to the max. The government sets annual contribution limits on retirement accounts. Do your best to max them out: 401(k) accounts and other workplace retirement plans have a $16,500 annual contribution limit ($22,000 for those 50 or older). IRAs and Roth IRAs both have $5,000 limits ($6,000 for those 50 or older). Save even more. Any extra savings for retirement should go into a taxable brokerage, certificate of deposit or bank account. A common goal is to save at least 20% of your income each year, more if you’re way behind. Pay attention to “asset location.” For people who have both tax-favored retirement accounts like 401(k)s and IRAs, as well as brokerage accounts, it can be a challenge to figure out in which accounts to put which investments. Two recent studies conclude that you should put a higher percentage of stocks into your taxable accounts, while taxable bonds are better off in your tax-favored retirement accounts like your IRA. 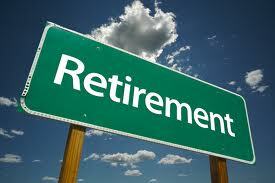 Additional resources: Check out the IRS Retirement Plans Community for details on these plans. Focus on asset allocation. One key study shows that 91% of a portfolio’s performance is determined by the allocation of assets, not individual investments or market timing. Age rules. Some financial advisers recommend stock market or equity exposure equal to about 120 minus your age. If you’re 55, at least 65% of your portfolio should be in stocks, regardless of which types of accounts you are using to invest for retirement. Fixed income matters. The remainder of your portfolio should in so-called fixed-income investments like bonds, bond funds or CDs, which generate annual interest income. Additional resources: Test whether your asset allocation is in line with your goals with this SmartMoney Asset Allocation System. Check out sample asset allocations here. Pick the right investments. Misguided investment choices can cost you tens of thousands of dollars over a lifetime. Fees add up. Investment fees come in many forms, including expense ratios on mutual funds, commissions for stock or ETF trades, and account fees from advisers. Fees should be no more than 1% of your total portfolio. Find out more on transferring an existing IRA, SEP, 401(k), 403(b) or TSP plan into physical precious metals. Why is gold so valuable? Is Your Money Safe in Bank Accounts? For the stock portion of your portfolio, consider index funds and mutual funds and get exposure to domestic and international markets, as well as small, medium and large cap stocks; for the fixed income portion of your portfolio consider bonds, bond funds, CDs or possibly real estate or commodities. Select a range of investments for optimal diversification. Find a financial advisor using NAPFA.org. Ask the experts on how to plan and diversify your portfolio. What not to do. Think rationally, not emotionally. Don’t try to time the markets. A study by Morningstar found that people who try to time the markets end up with significantly lower returns than those who buy and hold. Don’t tinker too much. Don’t change your investments on a whim; instead, once a year, make review your portfolio, either on your own or with an adviser. Investors who rebalanced their $100,000 portfolios once a year ended up with roughly $31,000 more over a 20-year period than those who didn’t re-balance and nearly $20,000 more than those who rebalanced monthly, according to a study by. Don’t assume you can make up for lost time. Many people delay maxing out their retirement account contributions, assuming they can make up for lost time later on.